Graduated in Bachelor and Master degree from Frederick University Cyprus in Graphic & Advertising design. I am the senior designer of Star Genesis Advertising. However I am working as a freelancer designer since 2007. ''Experience counts, concept, design and creativity are ready to appear for you ''.. Just challenge me! 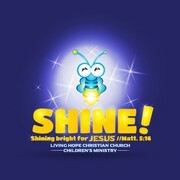 ""Goldenidea" did an amazing job creating the logo for our church's children's ministry. He was very professional and didn't delay in making any changes that I needed. I highly recommend him!" "I cannot say enough about this designer. If you have a project that requires special attention, and you want to be wowed, give this guy a chance, he will not dissapoint!"